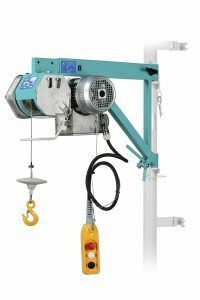 Electric wire rope winch Imer TR 200N VK This fast and reliable model designed for lifting all materials of construction to a height of 50m, weighing up to 200kg. Standard with a control tape on the cable 1.5m. Opcjonalnie dostępna jest cassette with 50m cable to the control from the bottom. Dodatkowym atutem tego modelu jest .